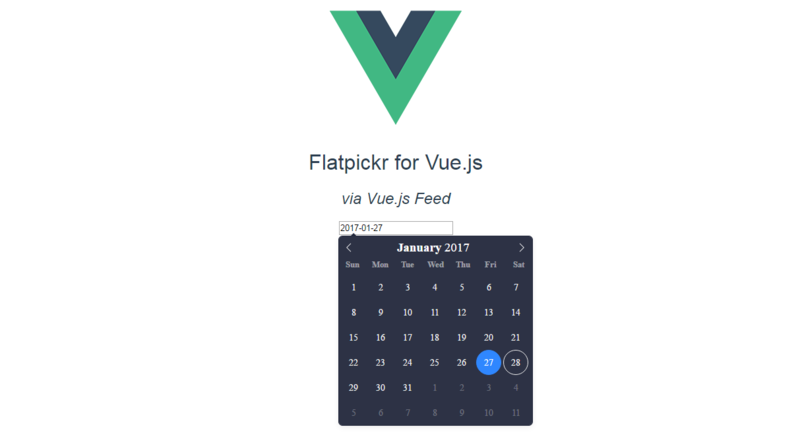 Check out this implementation of Flatpickr for Vue.js. 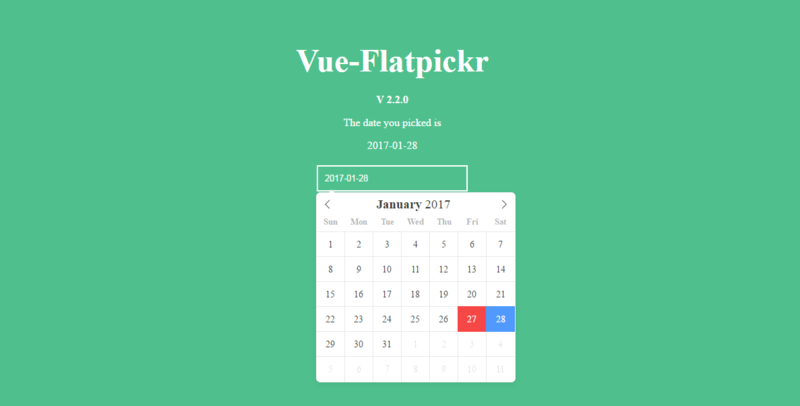 Use the datepicker component in this live demo. Vue-Flatpickr supports all options as the Official Document, except the "Custom elements and input groups".